Caught By His Own Hook! Videotape showing an Ulster County man fishing waist deep in a running stream will be used as evidence against him when he is prosecuted for fraud in connection with collecting $35,000 in disability benefits. Matthew W. Robbins, 48, of Church Street, Kerhonkson, is scheduled to appear in Kingston City Court on Tuesday. He was arrested Nov. 13 as the result of an investigation by the New York State Insurance Department’s Frauds Bureau and the New York State Insurance Fund. Robbins claimed to have strained his back when picking up a water pump while working at a day camp. He collected disability benefits from the Insurance Fund for nearly 10 years and testified at two workers’ compensation hearings that the injury left him totally disabled and unable to work. However, Joseph W. Kochetta Jr., of the Insurance Department’s Frauds Bureau, said investigators subsequently recorded videotape of Robbins while he was driving, power washing and repairing vehicles and fishing. Robbins was charged with insurance fraud, committing fraudulent practices and workers’ compensation fraud. He could be sentenced to up to seven years in prison if convicted. 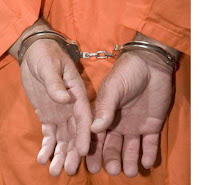 He was released in his own recognizance pending his hearing. The case is being prosecuted by William Andrews of the Insurance Department, who is acting as a special prosecutor for Ulster County District Attorney D. Holley Carnright. He released his 45 page report that talks over the violation of public trust, safety and health issues, questionable payroll practices and a culture of incompetence. The report was prompted following the dismissal of Director Dean Palen earlier this year by County Executive Michael Hein. That was precipitated by the discovery of $32,000 in uncashed checks and unissued permits found in a locked safe behind the desk of Palen’s wife, who was his administrative assistant. The comptroller’s office also discovered piles of sanitary sewer applications, public reports and employee grievances that indicated both ineffective internal management and a lack of meaningful external oversight. (Copyright © 2009 Mid-Hudson News Network, a division of Statewide News Network, Inc.
KINGSTON – Ulster County Comptroller Elliot Auerbach’s audit of the county Health Department should be finished in the next several days. Auerbach said his staff has been working on it for months and it should be ready soon. The comptroller has been examining why large numbers of uncashed checks were in a department safe for years and other possible irregularities in the operation of the agency. KINGSTON – The Ulster County Legislature has again decided to wait before it approves covering $188,000 in medical expenses of county jail inmate Anthony Passaro, Jr., the man who shot and killed his wife. He remains in jail, too sick to be sentenced. That means the county must continue to pay his medical bills. County Comptroller Elliot Auerbach urged lawmakers not to jump into things until his office had an opportunity to go over each bill line by line. Legislator Jeanette Provenzano Wednesday said the consensus was to hold off on a vote. “The Ways and Means Committee has requested the comptroller to review it for us because we have too many different interpretations so it’s referred until we have adequate information to pay that expense,” she said. Officials hope the bills will be reimbursable through Medicaid. Auerbach urges lawmakers to hold off on paying inmate medical bills..
KINGSTON – Ulster County Comptroller Elliot Auerbach Monday urged the county legislature to postpone paying the medical bills of convicted killer and county jail inmate Anthony Passaro, Jr. He is awaiting sentencing on the conviction that he shot and killed his wife. The legislature is ready to approve paying the $187,978 in medical bills incurred while he remains in jail, but Auerbach asked lawmakers to hold off. Lawmakers are scheduled to vote on the resolution at Tuesday evening’s meeting. KINGSTON, NY (November 4, 2009)…Over thirty people, representing twenty agencies and non-profits will be attending the PIRATES OF THE NOT-FOR-PROFIT training on Thursday, November 5, 2009 hosted by the Chamber of Commerce of Ulster County and presented by Ulster County Comptroller Elliott Auerbach and NYS Assistant Attorney General Nicholas Garin. and provide board members and officers with the tools to safeguard their resources. Sponsored by the Ulster County Chamber of Commerce as a Business Roundtable, the event will be held on Thursday, November 5th from 9:00 a.m. to 10:30 a.m. at the Kingston Holiday Inn, 503 Washington Avenue. Breakfast will be served and the event is free with an advance reservation. Contact Bob Hirsh at 845-338-5100 or bob@ulsterchamber.org to reserve. BETTER BUSING.....Ulster shrinks the bus and increases the efficiency! this year and next, is approximately $1.43 million. 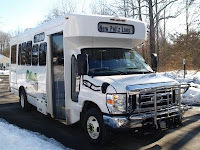 UCAT buses serve commuters, shoppers and visitors in virtually every area of the County. routes that link Ulster County communities to the Metro-North train station, in Poughkeepsie. sections of the County where passenger volume is higher. http://www.ulstercountyny.gov/ucat or by calling (845) 340-3333.
rating follows a similar positive rating made by Moody’s Investor’s Services in June of this year. the tough decisions required to manage Ulster County’s finances during these difficult times. of the most difficult financial times,” said Ulster County Comptroller Elliot Auerbach. NEW YORK, NY (10/26/2009)(readMedia)-- An Ulster County man is scheduled to appear in the Town of Esopus Criminal Court on Tuesday to be arraigned on charges that he altered a home heating oil receipt to support a $20,000 insurance claim for damages to a home in Kingston. Gilson DaSilva, 50, of Lakeview Terrace, Kingston, is accused of altering the receipt to show that there was oil in the home's furnace and that the residence was heated. The home, which was insured by DaSilva, was damaged by water when a frozen pipe broke in February. New York State Insurance Department Frauds Bureau Investigator Valerie A. Burke said an investigation showed that DaSilva changed the address on a receipt for oil that had been delivered to another home. Investigators for DaSilva's insurer, Central Mutual Fire Insurance Company, found that the oil tank was empty in the home that was damaged. This contradicted DaSilva's claim that the home was heated and that the damage resulted because the furnace malfunctioned. DaSilva is charged with criminal possession of a forged instrument and falsifying business records. He could be sentenced to up to seven years in prison if he is convicted. William Andrews, of the Insurance Department, is prosecuting the case for the office of Ulster County District Attorney D. Holley Carnright. KINGTON – The purchase of a new financial system for Ulster County government is in the 2010 capital budget, but whether it will stay, with its multi-million dollar price tag, remains to be seen. County Comptroller Elliott Auerbach has been promoting it, saying the current system is antiquated. While she agrees one is needed, Administrative Services Committee Chairwoman Jeanette Provenzano said the continued weak economic climate will dictate its fate. Development of the county capital budget, like the general budget, is up to County Executive Michael Hein, who has presented his tentative spending plan to the county legislature for its review. I was saddened to learn that Ulster County Legislator Philip Terpening passed away on Wednesday evening. KINGSTON – Ulster County Legislator Philip Terpening collapsed and died Wednesday night during a political debate, County Legislature Chairman David Donaldson said Thursday morning. Terpening, 63, was with fellow Democratic Legislator Alan Lomita when Terpening debated a Republican challenger and collapsed. “We were running on the same team and he was responding to charges made by a Republican opponent, charges that were made about him and me, ‘if you are happy with the status quo, vote for these two,’ and Phil was very upset by the statement that was made by the Republican and collapsed soon after,” said Lomita. Lomita said after Terpening collapsed, he was on the floor trying to revive him. Some of you know my story as a son who watched his mother become devastated by Alzheimer’s and the effect it had on my father and my family. This disease is an “equal opportunity illness” that transcends age, race, gender and religion. We need to slow it down and eventually stop it and can only do that with your help. Walk with us toward a world without Alzheimer's disease! This fall's Ulster County Alzheimer's Association Memory Walk® event takes place on Saturday, October 24, 2009 at SUNY ULSTER in Stone Ridge. Registration begins at 9:00am and the walk starts at 10:00am and we want you to get in on the action. 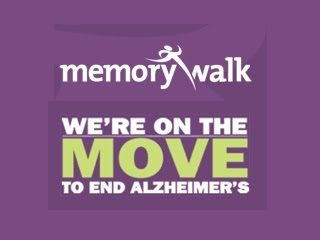 Sign up today at www.alz.org/memorywalk or call Karen at (845) 340-8474. Judi and I hope to see you there. A morning press conference called by THE CHILDREN'S ANNEX announced an expanded focus and a new name to reflect the broadened scope of their services. Check out the new link and new look for THE CENTER FOR SPECTRUM SERVICES. Degree, a Class E Felony. making her ineligible for daycare assistance. of $10,586.00 to Ulster County DSS. sends the message that fraud and abuse will not be tolerated in Ulster County,“said County Executive Mike Hein. An Ulster County woman who claimed to be totally disabled after falling out of a chair was arrested Friday for accepting $73,000 in workers’ compensation benefits while she worked at a youth sports camp. The New York State Insurance Department reported that Kathy M. Martinez, 56, of Carney Road, Ulster Park, started collecting benefits after claiming that injuries she suffered from the fall left her unable to work. She suffered the injuries while employed as a Spanish teacher in the Kingston School District in 2005. However, Insurance Department Frauds Bureau investigators found that Martinez was actually handling payroll and other business services for the youth camp while collecting compensation benefits. Martinez is accused of stating on three separate occasions that her injuries prevented her from working. The benefits she received were paid through Ulster County, whose self-insured workers’ compensation plan covers Kingston School District employees. “We appreciate the investigative work of the New York State Insurance Department and law enforcement personnel in this matter. As I have said many times before, my administration is committed to rooting out fraud and abuse, whenever it occurs, and there is zero tolerance in Ulster County for this type of alleged criminal behavior. These times are challenging enough for taxpayers, businesses and those who are trying to provide for their families, without the deceit that this case apparently represents,” said Ulster County Executive Mike Hein. State police arrested Martinez on charges of insurance fraud and workers’ compensation fraud. She could be sentenced to up to 15 years in prison if she is convicted. Judge James Gilpatric released Martinez in her own recognizance following her arraignment in city court, pending a hearing scheduled for Oct. 26. The case is being prosecuted by William Andrews, a special prosecutor for Ulster County District Attorney D. Holley Carnright. to the local economy and 8,000 jobs, branding is crucial. world-class dining and spas and magnificent natural resources that Ulster County has to offer. We’re just 90 miles from midtown Manhattan. groups throughout the creation of the marketing strategy. visitors a year,” said Ulster County Tourism Director Rick Remsnyder. KINGSTON, NY (October 1, 2009)… Today marked the beginning of the budget process as County Executive Michael P. Hein released his 2010 Tentative Budget. It is evident that Ulster County is being squeezed between the demands and the mandates of the State and Federal Government and that these tough times call for tough decisions. Hein proved today that he in fact can make those tough choices. The County Executive sent a clear message that Ulster County stands united with counties, towns and villages against the continuous cost shifts imposed upon them by state government. He underscored his point when he explained that “New York is the only state that pushes significant amount of Medicaid expense down to the counties” and in Ulster County’s case that will translate into $30.5 million dollars for 2010. Hein’s budget proposed reducing the county workforce by 4.5% or 100 jobs and eliminating or severely reducing several county programs. His initial budget reflects a tax increase of less than $50.00 for the year. I stand alongside the Executive to turn this quagmire into a pedestal of leadership and an opportunity to collaborate with both he and the Legislature to reallocate resources for a more effective and efficient Ulster County government. On October 14, 2004 the Ulster County Legislature named the Kerhonkson Bridge after former judge, county legislator, fire company chaplain, veteran, Lion's club member and all around "nice guy" Herb Poppel. It took five years, $4,000,000.00 in stimulus money and hard work by a group of dedicated public officials including Legislators Mary Sheeley, TJ Briggs, Joe Stoeckler and Susan Cummings and County Executive Mike Hein to put a plan into action. KERHONKSON – Local officials on Monday welcomed the start of work to replace the Herbert Poppel Bridge over the Rondout Creek, a $4.7 million project that is the first in Ulster County to be financed by federal economic stimulus money. TELL NYS TO STOP "COST SHIFTING"
Do you remember Saturday Night Lives’ Linda Richman who would say “talk amongst yourselves”? That is what was going on for the past few days at the New York State Association of Counties Fall Seminar. County officials expressed outrage over being “nickled, dimed and dollared" as a result of cost shifting efforts by our State leaders. To put it simply, our leaders in Albany are trying to solve their budget gap at our expense. It seems that all of the State’s bad decisions are being forced on local government. The call to action was to stop talking amongst ourselves and make the public aware of Albany’s inadequacies. The Dutchess County Executive echoes many of the sentiments held by the Ulster and Orange County Executives. It’s time for our leaders in Albany to make the tough decisions and take their hands out of the pockets of local government and the local tax payer. It’s time to STOP SPENDING….STOP REDUNDANCIES…STOP COST SHIFTING. Copyright © 2009 Mid-Hudson News Network, a division of Statewide News Network, Inc.
POUGHKEEPSIE – More than 500 county officials from across New York State including county executives, chairs of county legislative boards and county administrators gathered for the 2009 New York State Association of Counties (NYSAC) Fall Seminar in Saratoga, New York. The dominant issue facing county leaders is how to deal with potential cost shifts from New York State as the state faces its perennial budget gaps and how to avoid having those state costs transferred to county property taxpayers. Dutchess County, along with counties across the state, is facing fiscal pressure from declining revenues, shrinking tax base, increased demand for county services, as well as lagging reimbursements from the State for state mandated services delivered at the county level. These fiscal pressures make it extremely challenging to manage the County’s current 2009 budget and prepare a 2010 budget. New York State Budget Director Robert Megna addressed the joint breakfast meeting this morning to discuss the dire straights of the state budget, noting New York State’s operating budget is facing a $2 billion deficit by December. According to Megna, the state is facing “unprecedented” financial challenges. Megna told Steinhaus and other county leaders that state revenue declines are even worse than the declines seen eight years ago, immediately following 9/11. County officials asked for flexibility and relief from onerous state mandates if state funding is reduced for mandated programs. Steinhaus commended Megna’s statement that Governor Paterson wants to avoid tax increases and close the state’s gap through spending cuts. “Governments at every level are facing extraordinary fiscal challenges but must recognize that property taxpayers’ wallets are empty. State spending cuts and mandate relief are the only answers,” concluded Steinhaus. 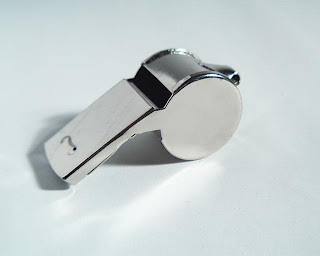 (Finally)...WHISTLE BLOWER PROTECTION FOR COUNTY EMPLOYEES AND CONTRACTORS! KINGSTON, NY (September 9, 2009)… A grateful Comptroller Auerbach handed out symbolic whistles to Ulster legislators at Wednesday’s meeting of the County Legislature. Legislators had just voted in favor of a policy that protects employees and agents of the County from retaliation for ‘blowing the whistle’ on fraud and abuse in County government. Auerbach first identified the need for County whistleblower protections in his March 25, 2009 “Internal Control Baseline Report” which assessed the effectiveness of internal controls within County departments. The report recommended whistleblower protection to protect individuals from retaliation if they report misconduct. ALBANY - As state leaders and budget officials prepare to address a $2.1 billion hole in the State Budget, a bipartisan group of county officials, this morning, presented a long list of how the state’s fiscal woes are impacting their county governments. They also called on the State’s fiscal decision makers to cut state spending in their deficit reduction plan (DRP), rather than shift costs to county property taxpayers. Governor David Paterson has said he will call the State Legislature back into session in September to enact a mid-year deficit reduction plan that will help to close the projected State Budget gap. County leaders today said they want to make sure they aren’t called upon to close that gap at the State level because many of them are facing mid-year deficits themselves. Republican Orange County Executive Edward Diana, said all Democrat Paterson has to do is look at what the counties are doing. Increased employee costs – in the form of pension contributions and health care costs. Rockland County Executive C. Scott Vanderhoef, a Republican, said all of this is driving people from the state. KINGSTON – Ulster County his filed a lawsuit against the owners of the Nevele Hotel in an effort to collect all payments in lieu of taxes and unpaid taxes owed the county. According to the complaint filed in State Supreme Court on Friday, the county is owed $290,959, plus penalties, interest and attorneys’ fees. The Ulster County Industrial Development agency was also named in the suit by the county, but the IDA was included for procedural purposes and the county is not seeking any money or remedies from it. In 2008, the hotel, which ended its tax exempt status, agreed to pay existing county, town and highway taxes in three installments. The complaint said the Nevele paid the first payment, but not the second or third totaling $74,290. The 2009 county, town, high and special district taxes totaling $161,388 are also unpaid, according to the suit as is $55,280 in county motel tax. County Executive Michael Hein said he looks forward to working with the new owner, but the hotel has an obligation to the taxpayers of the county. An auction company will be accepting bids for the hotel on Tuesday. ELLENVILLE – It was a vacant lot, but now could be a Field of Dreams for prospective homeowners. Ellenville village, state and federal officials were on hand Monday for the opening of the Buttermilks Falls townhouse complex near the accent over Shawangunks, a 15-unit, $3.4 million project to help bring more homeownership to the village. The median income in Ulster County is $70,000 for a family of four, and the units are priced at $127,000 and $144,000. O’Connor said there has been interest in more than half of the units so far. The project was reliant on state funding and housing subsidies, and Deborah Van Amerongen, the commissioner of New York State Division of Housing and Community Renewal, said this complex helps with the revitalization of communities like Ellenville, which have been suffered economically over the years. Congressman Maurice Hinchey, D-Hurley, was a featured speaker prior to the ribbon cutting ceremony. KINGSTON, NY (August 27, 2009)… Comptroller Elliott Auerbach has released his audit of the Ulster County Department of Social Services’ Medicaid Spend-Down Program. The report identifies a lack of written policies and procedures on file for staff to follow, duties not sufficiently segregated to provide appropriate checks and balances, inadequate safeguards for cash collection, deposits not made timely, receipts not always issued and a failed receipting system. “We found a significant lack of management oversight to insure that this Program, which is designed to handle tens of thousands of dollars in client monies, is run efficiently and effectively,” said Auerbach. Early in his first term as County Comptroller, Elliott Auerbach learned of a February 2008 reported theft of $1,320.00 from twenty-one client accounts which prompted his audit of the Program. The audit also found that the Medicaid Spend-Down accounts entered into NYS’s Welfare Management System are not reconciled against Ulster County’s accounting system and the DSS Accounting Department’s subsidiary record of each client’s history. “When accounts are not reconciled we cannot be sure all transactions have been properly recorded and this is not acceptable practice,” said Auerbach. “It was also troubling to learn that the required recertification process instituted by the New York State Department of Health was not followed,” said Auerbach. The audit found that client identification and citizenship were not always being verified based on reports received from the Federal Social Security Administration. A survey of Medicaid employees, included in the report, disclosed that case workers feel that case loads are excessive, resulting in a suffering morale. Employees also cited slow and cumbersome technology resources and ineffective allocation of duties as key concerns. The Medicaid Spend-Down Program is a pay-in plan unique to New York State that provides coverage for medical related expenses for Medicaid eligible individuals. adjourned to a later date. Department and the New York State Office of Children and Family Services Childcare Unit. We are getting close to adopting the long awaited WHISTLE BLOWER protection that will afford county employees safe passage when it comes to raising questionable practices. KINGSTON – The Human Development and Personnel Committee has given its nod to whistleblower legislation proposed for Ulster County government employees and there is one more committee that must approve it before it can be placed on the floor for a full legislative vote. The Administrative Services Committee has already approved it and Human Development Committee Chairman Donald Gregorius Monday said he believes it has stood up to several tests. “We have honed it down as fine as we can do. It’s been through the county attorney and the legislative attorney and we hope to have it in place for a vote in the September meeting,” he said. The Laws and Rules Committee is the final step before the full vote. The whistleblower law idea stems from a proposal by County Comptroller Elliott Auerbach. KINGSTON – The Ulster County Legislature has begun its look into county employee use of cell phones following an audit by County Comptroller Elliott Auerbach found the county spent $200,000 on cell phone bills last year. County Legislature Administrative Services Committee Chairwoman Jeanette Provenzano said her committee is exploring options to reduce spending. “We are looking forward to whatever policy changes that we can make to tighten up the information so we know who is using the cell phones, making sure we know who has them by name and what the use is for,” she said. The cost of the usage last year was 40 percent above 2007, Auerbach found. He said, in some cases, cell phone plans were the “Cadillac” plans. Comptroller Elliott Auerbach presenting a check for over $61,000.00 to Town of Wawarsing Supervisor Ed Jennings at Thursday evening's Town Board meeting. Looking on are Town Clerk Jane Eck and Councilmen Terry Houck, Tom Geelan and John Gavaris. KINGSTON, NY (August 20, 2009)…Comptroller Elliott Auerbach personally delivers a check for $61,486.90 to Town of Wawarsing Officials on Thursday evening, August 20, 2009. The check represents monies owed to the Town from a 2007 PAYMENT IN LIEU OF TAXES (PILOT) from the Nevele Grande Hotel. Auerbach uncovered the money during an examination of payments made to the County which revealed that $24,341.88 was owed to Wawarsing’s General Fund and $37,145.02 was owed to their Highway Fund. The Comptroller continues to pursue over $600,000.00 owed by the Nevele to Ulster County, the Town of Wawarsing, the Village of Ellenville, the Ellenville Central School District and the Ellenville Library. KINGSTON, NY (August 12, 2009)… Ulster County Comptroller Elliott Auerbach has led the effort to protect taxpayers of the County, the Town of Wawarsing, the Ellenville School District, the Ellenville Public Library and the Village of Ellenville and to recoup funds owed by the owners of the recently closed NEVELE GRANDE RESORT. KINGSTON, NY (August 10, 2009)… A routine audit into PAYMENTS IN LIEU OF TAXES (PILOT) by Ulster County Comptroller Elliott Auerbach uncovered $61,486.90 owed to the Town of Wawarsing from a 2007 PILOT agreement between the Ulster County Industrial Development Agency (UCIDA) and the Nevele Grande Hotel. The Comptroller conducted a three year review with the help of Finance Commissioner Paul Hewitt and Head Account Clerk Brenna Lamoureux. The examination revealed a total of $104,554.98 in sporadic installment payments were received by the County Treasurer’s Office during 2008 but sums owed to the Town of Wawarsing for General and Highway taxes were never advanced. Auerbach informed Wawarsing officials that Ulster County will be forwarding payments of $24,341.88 for the Wawarsing General Fund and $37,145.02 for the Highway Fund. Comptroller Auerbach continues to research other PILOT agreements to insure that the County and its Towns and Villages are not shortchanged. 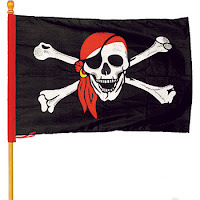 The Kingston Daily Freeman Blogs: "Oh, the blogs!" 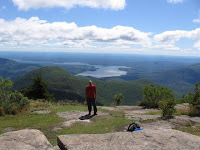 The Kingston Daily Freeman Blogs: "Life," I wrote. KINGSTON – An audit of Ulster County employees’ use of cell phones and Blackberry devices showed they ran up $200,000 in phone bills in 2008. 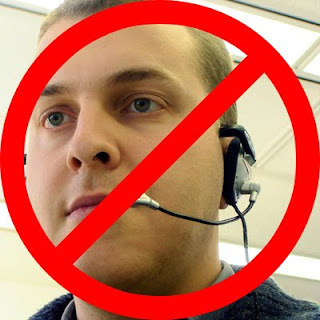 That’s up 40 percent over 2007 bills and County Comptroller Elliott Auerbach said the county needs to come up with a more efficient way of using mobile communications, but at a lower cost to the taxpayer. He is not pointing the finger at the county workers, but at the types of cell phone plans purchased by the county in the past. In some cases, “Cadillac” plans were purchased for employees that used their phones minimally, thus driving the per-minute cost up to as much as $2, he said. “We may want to take a less traditional approach to future use and review both a ‘pay as you go’ plan or consider reimbursing employees for the actual minutes used on their personal cell phone while conducting business on behalf of the county,” Auerbach said. The report recommends specific actions to improve control over county-issued wireless telecommunication devices and also recommends the county hire a firm specializing in matching use to plans as well as assessing billing errors and negotiating the recovery of funds. KINGSTON — The discovery of $32,000 in uncashed checks in a safe at the Ulster County Department of Health — whose director was let go last week — is among the reasons a full-scale audit of the department’s Environmental Sanitation Division has been launched, County Executive Michael Hein said on Friday. In addition to the checks, which were made out to the county and dated as early as 2000, the safe at the sanitation division’s Flatbush Avenue office in Kingston contained health permits for such business and restaurants and camps that were made out but never issued, Hein said, as well as about $300 in cash. “A significant amount of material was in there,” Hein said. The materials were discovered on June 11, just hours after Hein placed county Public Health Director Dean Palen on “ad-ministrative leave.” Hein said the safe was behind the desk of Palen’s wife, Deborah, who until recently worked as Palen’s administrative assistant. Hein stopped short of calling the matter criminal but said county District Attorney Holley Carnright has been made “aware” of the situation. Neither Palen nor his wife could be reached for comment on Friday. The county executive said there were 150 uncashed checks in the safe and that they ranged in value from $15 to $1,100. He said the audit of the Environmental Sanitation Division will be completed “as soon as possible” by county Comptroller Elliott Auerbach and the state Health Department. Auerbach said the investigation will focus, among other things, on whether the public was put in any danger because of the division’s failure to issue permits to businesses that are required to have them. “Has the public been put in harm’s way?” Auerbach said. Auerbach said he expects to have a plan of action for the investigation in place by Monday. Hein and Auerbach are Democrats who were elected last fall and took office in January, when the county’s new charter went into effect. Palen was appointed public health director in 1994 when Republicans controlled the county government. County Legislature Minority Leader Glenn Noonan, a Republican from Gardiner, said if there were any irregularities in the Health Department, Hein — who served as the appointed county administrator before the job of county executive was created — should have known about them. Regardless of whether the discovery of the uncashed checks and unissued permits played a role in Palen’s dismissal, his days as public health director were numbered because the new charter mandates the Health Department be led by a medical doctor. Palen is not an M.D. Palen’s annual salary at the time of his removal was $102,847. The Legislature must set the salary for the health director who will succeed him, but the lawmaking body last week rejected a committee’s recommendation that the new leader be paid between $120,000 and $175,000 per year. In the interim, the Health Department is being led by Nereida Veytia, a registered nurse who has been serving as the department’s director of patient services. STONE RIDGE — Ulster County Community College is being urged to reduce financial risks and eliminate computer security problems found in a state comptroller’s audit for the 15-month period ending April 22, 2008. The findings were released by Ulster County Comptroller Elliott Auerbach, who said college officials are being advised to better safeguard the school’s $26.69 million budget, which includes $6.28 million in county funding. Among other things, the office of state Comptroller Thomas DiNapoli recommended UCCC review payroll account procedures after finding that three checks totaling $1,265 had not been reviewed by the dean’s office and 11 checks totaling $6,248 were not listed in any payroll register. The audit also recommended better documentation of expenses after three claims totaling $7,063 were found to have no explanation and 19 claims were found to have “insufficient” explanations for expenditures totaling $12,691. Among the claims were “three meal events” totaling $2,598, without including the business purpose or a list of attendees for two of the events, while travel logs for 13 claims totaling $3,384 did not include “sufficient itemization, such as departure and destination details,” the audit stated. Protecting information technology was recommended after auditors found that access rights had not been deleted for employees whose authorization level had changed or been discontinued. UCCC President Donald Katt said on Saturday that college officials have begun updating procedures to meet the state’s recommendations. “We are very pleased that no waste, fraud, abuse of taxpayer dollars or financial malfeasance took place, and that no breaches of security, either paper or electronic, were identified,” Katt said of the audit. In a prepared statement on Saturday, DiNapoli spoke highly of the college. KINGSTON – Ulster County Comptroller Elliott Auerbach has begun to certify the county’s more than $3 million payroll. For the first time, county taxpayers have an independent review of payroll before it is paid, something he started last week, the comptroller said. Auerbach said his office has the responsibility to certify the payroll for county employees. “This is just an extra measure to insure that taxpayers’ money is being well spent and we are charged by the charter and the administrative code to in fact certify payroll, which has not been in place up until the new charter form of government in January,” he said. Sometime in the future, Auerbach would like to expand his certification process to require county workers to personally appear and sign for their paychecks once or twice a year. KINGSTON -- In 2007 there were 66 properties listed for sale at Ulster County's public auction. Twenty-four months later those numbers have more than doubled to 134, according to county Comptroller Elliott Auerbach. The 2008 Public Auction catalog also reveals that the amounts owed to thecounty for properties three or more years in arrears have gone up by 55 percent since the 2007 sale, from $1,016,265 to $1,580,289. Auerbach calls it a sign of the tough economic times and is fearful that it is a harbinger of things to come if we cannot offer property owners some relief. Auerbach says that the 134 properties listed for sale is a small percentage compared to the 84,390 properties listed as taxable parcels in the 2008 Ulster County Real Property report, but he warns County leaders not to be lulled into thinking things are just fine since property tax accounts for 21 percent of the county's projected revenue. The county's public auction will be held at SUNY Ulster in Vanderlyn Hall Tuesday at 9:30 a.m.